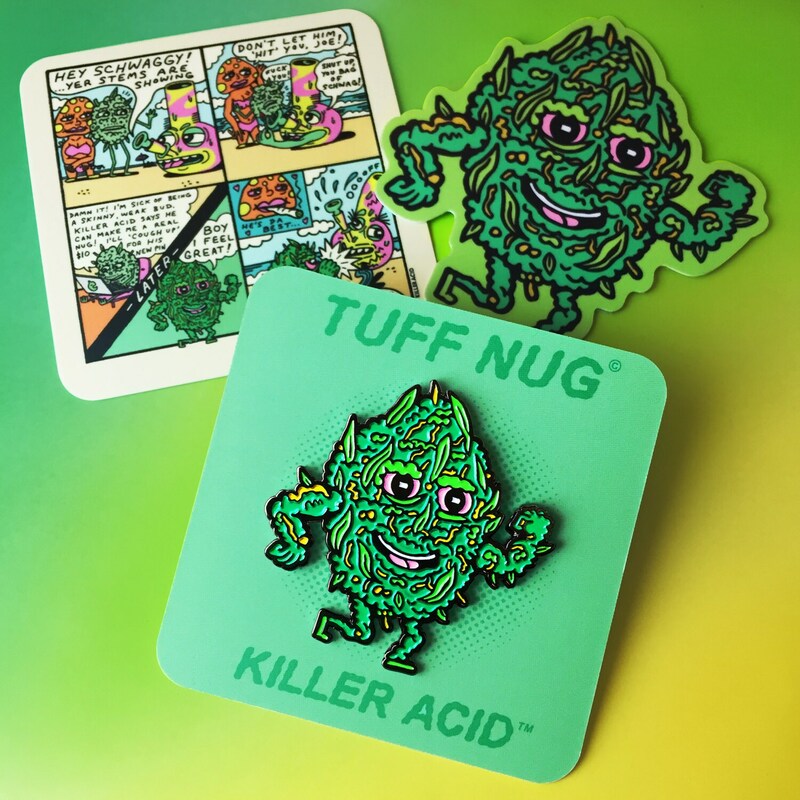 Tuff Nug 1.7" tall soft enamel pin by Killer Acid, edition of 200. 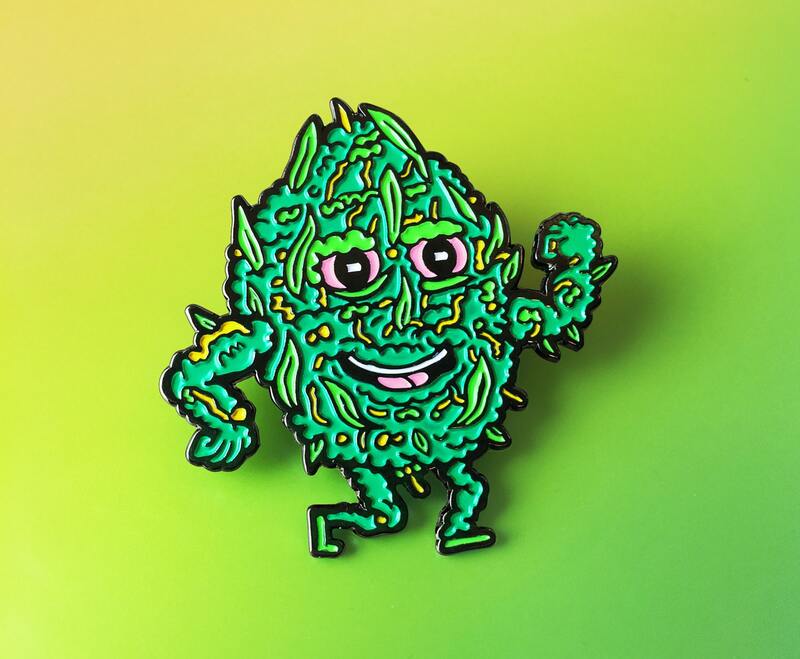 All their pins are excellent quality! This one comes with a funny comic on the backing. Amazing quality and the packaging was really cool. Thanks for the extra sticker too! 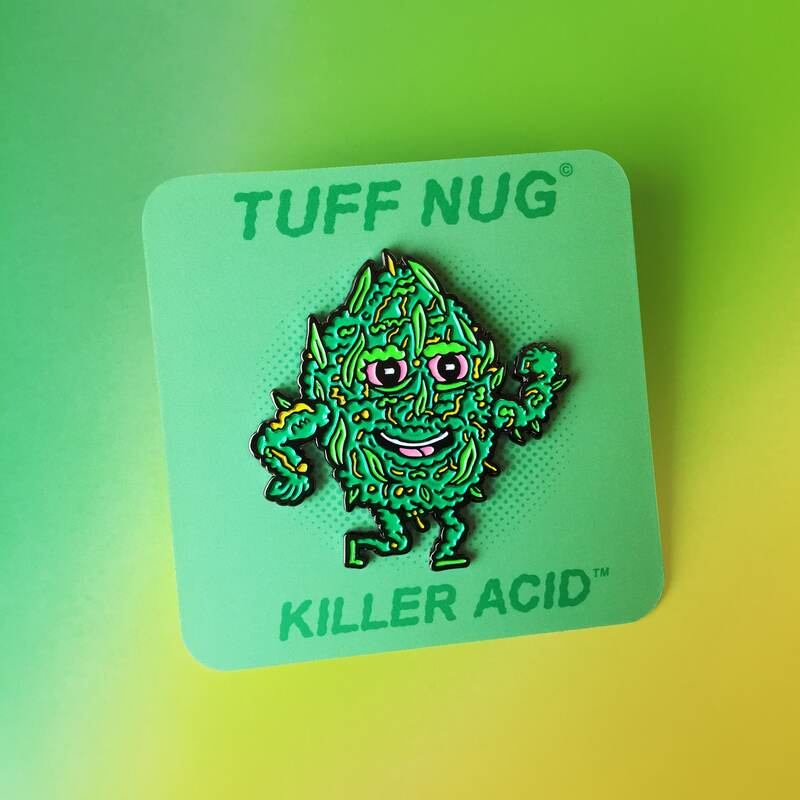 One of my new favorite pins!